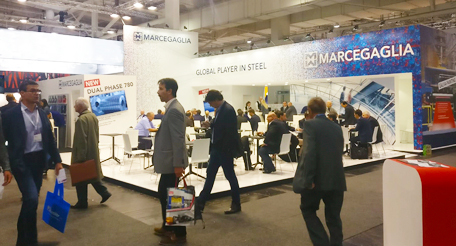 Marcegaglia, the leading industrial group worldwide in the steel processing sector, attends to MADE expo 2019 (hall 1, stand A01 B10), Italy’s most important trade show for the building & construction industry, held at Fiera Milano-Rho. The 2019 edition of BAU, the World’s Leading Trade Fair for Architecture, Materials and Systems, which takes place every two years in Munich, kicks off today. The 25th edition of EuroBLECH, for almost fifty years the world’s largest exhibition for the sheet metal working industry, started on Tuesday 23 October. The event is held every two years in Hannover, Germany. 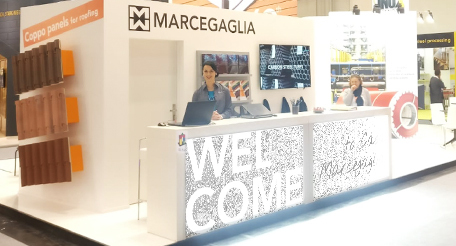 Marcegaglia is one of the leading players of Tube 18, the world’s most important trade fair for the tube and tube processing industry, held in Düsseldorf from 16th to 20th April. 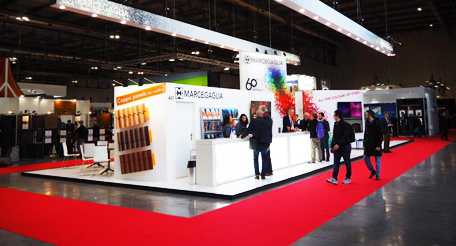 From 20 to 23 March, Marcegaglia takes part to Intertraffic, the world's leading trade fair for traffic and mobility held in Amsterdam (the Netherlands). From 30 January to 2 February Marcegaglia steels lead the Budma exhibition in Poznań (Poland), the largest event in Eastern Europe for designers, architects and construction engineers.